Portland, Maine’s Allagash Brewing has always had a soft spot for experimenting with Belgian brewing traditions. 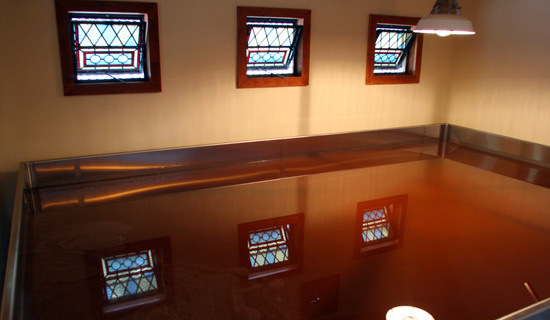 From barrel aging with fruit, to wild yeast strains, there isn’t much they haven’t done. In the fall of 1997, the brewery decided to take it a step further and bring back a very old and traditional process of cultivating wild yeast from their own back yard. They built a coolship, which is a large, shallow metal pan that quickly cools the freshly brewed wort over night, as well as letting the naturally occurring wild yeast in the air to inoculate their beer. The wort is then placed in wooden barrels to ferment for up to 3 years, or whenever the brewery deems it fit for consumption. Their Coolship series is very limited due to the length of time it takes for the beer to mature. It is only sold from the brewery and is rarely publicized with hopes that each batch will be readily available to the beer enthusiasts that visit and tour the facility. 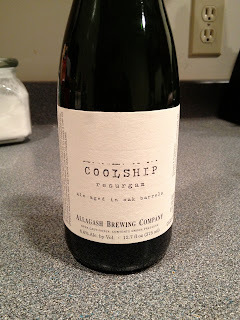 Luckily, being the beer stalker I am, I found out that they released Coolship Resurgam the beginning of January and still had plenty of bottles left. I immediately rushed to Portland and snagged 2 bottles. 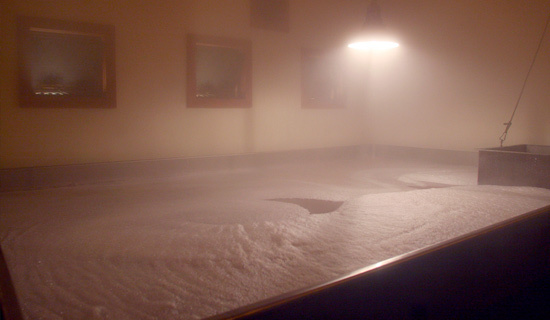 Coolship Resurgam is a gueuze style beer, that is a blend of one, two, and three year old, un-fruited coolship. It pours a hazy, straw color with a sizable head. Aromas of freshly milled grain, citrus and yeast are present. Tart and lemony up front on the palate, there is a pleasant “funk” from the wild yeast, with a refreshing, peppery finish. It is definitely one of the most balanced and flavorful examples of gueuze I have tried yet. Let’s just say that the second bottle in my cellar will not be around very long.